ZenMate is a super-fast and extra-secure VPN. Ok, so what's a VPN?! A VPN (Virtual Private Network) is a network that sits between your device and the service or site you're connecting to. You can think of it as a messenger that stops you from receiving things you don't want and prevents your private information from getting into the wrong hands. VPNs are becoming more and more relevant. Every day we hear about new companies using our private information and data for their own gains or hackers using open and public networks to get access to our private information. ZenMate sits in the middle of your connections preventing your information from going any further than them, protecting your privacy and giving you peace of mind. And that's not all. ZenMate has connections available in over 30 countries, so you can also connect to your favorite services back home when travelling abroad. And if you're travelling in a country that censors information, you can rely on ZenMate to let you connect to the Internet as if you're browsing from the comfort of your own home. 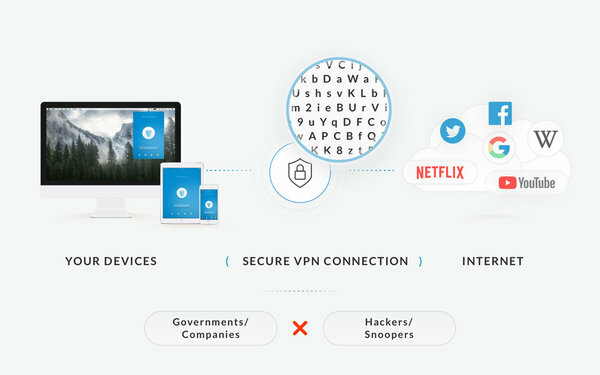 What makes it better than any other VPN? ZenMate's servers are encrypted with high-grade encryption technology so it's incredibly secure. It's also one of the fastest VPNs on the market. It's available on all of your devices. It runs a strict no-logging policy protecting your privacy even further. And it's trusted by over 40 million users worldwide. Don't miss out grab ZenMate (1 year) today!